How to be like the fire. How to deal with the career & life storms of a fire service career. From the rookie to the veteran, this essential guidebook will provide any firefighter the knowledge and guidance necessary to thrive in the fire service. 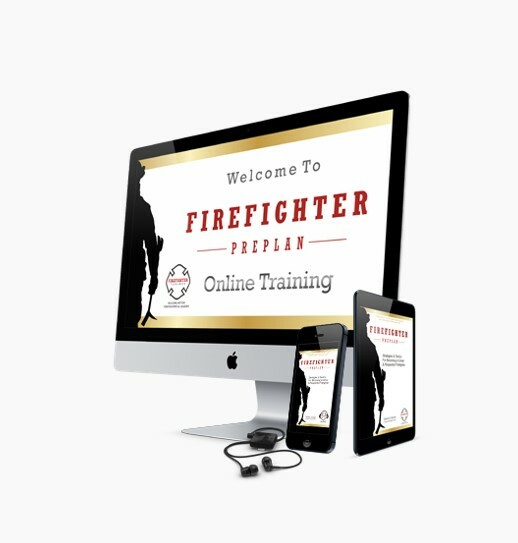 Firefighter Preplan is an inspirational, educational and instructional culmination of advice, ideas and practices that will help develop or enhance anyone’s career, especially a fire service career. David’s passion to help make better firefighters is clearly evident on these pages. Join him in being a part of the better fire service by reading this and soaking in decades-worth of information so easily. 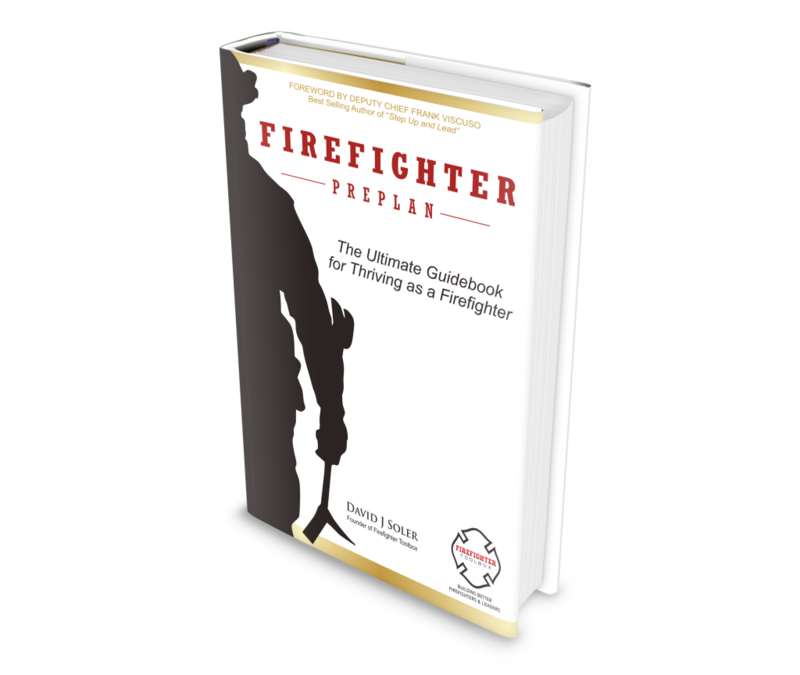 Firefighter Preplan is a transparent, easy-to-read book that doesn’t beat around the bush. The book is all substance and no fluff, and it was written to help you become a better version of yourself. This book is a great starting point for anyone who is serious about becoming a respected firefighter. It is also a reminder of why we all do what we do: to serve others. The road you’re on to becoming a great firefighter is for marathoners not sprinters! By reading or listening to Firefighter Preplan, you have just made the commitment necessary to move forward toward the goal of becoming the great firefighter you want to be. Kudos to the author, David J. Soler for providing you the road map to help guide you along the way. Firefighter Preplan is a very valuable resource to those that are aspiring to be great firefighters and leaders in the fire service. to Your Growth as a Firefighter Like I Was? If you are like me then you want to reach your God-Given potential as a firefighter. The problem is as a firefighter we don’t always get to choose where we are firefighters or who our officers are and we are dealing with 1 or more of the 7 crippling challenges. What is going to happen if we continue on this path? What is your firefighter career and life going to look like? Are you frustrated like I was? Are you hurting like I was? THERE IS HOPE with Firefighter Preplan! Do you want to know how these other greats in our business do it? Are you looking for the mental tools of great firefighters like I was? I have been on a mission for 20+ years searching for what it takes to be a great and respected firefighter and leader. How to successfully respond to the calling of being a firefighter and how to weather the career storms that we must go through as firefighters both on the job and in life. Now, 20+ years later including 100’s of interviews with great and respected firefighters, leaders and thought-leaders (Like those on Firefighter Toolbox Podcast), testing the findings both in the station, in life and on the fire ground, and finally, Firefighter Preplan has been born. It is NOT firefighter training skills like how to throw a ladder or do a search. It is NOT for firefighters who are lazy or think they are entitled to something. The answers we have been searching for and a guidebook and mental tool box for growing and thriving as a firefighter. 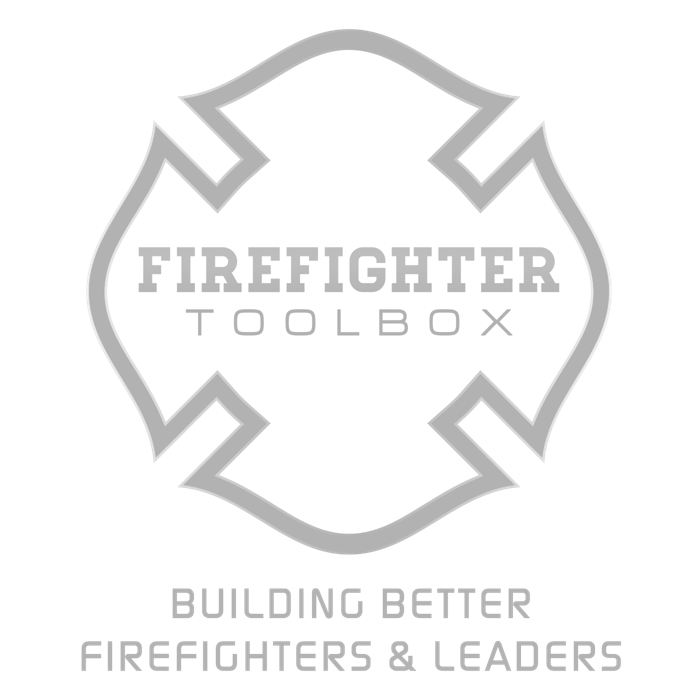 The mindsets, attitudes, career strategies and tactics of great and respected firefighters and how you can implement these tools to grow and have a thriving career as a firefighter too. Inspiration and motivation to be the best you can be and know that you are not alone when you face career storms. Firefighter Preplan is “Tested & Approved"
Now, like never before, you have the opportunity to learn what the best of the best in our business do no matter where you live, where you are stationed, what your gender is or nationality. No more limits. 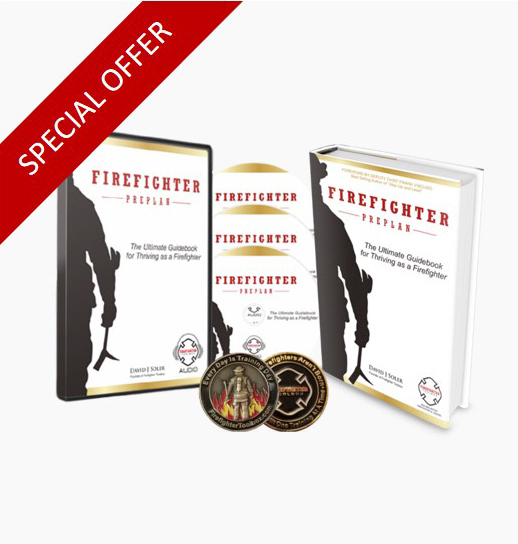 Learn the attitudes, mindsets, behaviors, strategies and tactics of great firefighters. Implement them. Make an impact on the fire service and the world! I wish David had written this book 15 years ago! When I first hired on to a full time fire department, I had no fire or EMS experience, and a book like this would’ve made a fantastic map of good roads to travel on, pitfalls to avoid, and lessons to learn. Required reading for anyone, career or volunteer, who is serious about the fire service and making their way in it. Wow! Firefighter Preplan is the type of information that is invaluable to the fire service and those that have the desire to be a great firefighter. I highly encourage those in the fire service to get this book/audio program. David Soler is committed to discovering-and-sharing what it means to become a great and respected firefighter. In Firefighter Preplan, he captures and conveys decades of experience about the actions that make great firefighters and crews. Want to be a great firefighter? Want to earn respect in the fire service? Read this book, act on these principles, and finally pass this knowledge on to those who follow in your footsteps. 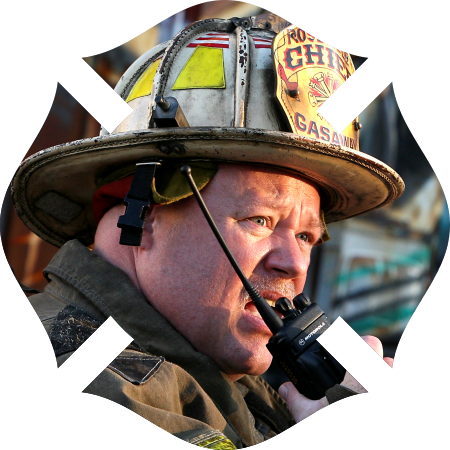 In Firefighter Preplan, David J. Soler has highlighted all the necessary traits and characteristics of a top-shelf firefighter. I truly feel that this book will be a great tool in the development of our future fire service leaders. Let this book/program jump start your fire service career and propel you into your future. It will fire you up and put you on the fast track for reaching your goals and becoming the respected firefighter you desire to be. Read it and re-read it. it will work! Firefighter Preplan provides a great foundation to build upon throughout your career. I have gotten a lot from the book and I plan to give it to others I mentor. Firefighter Preplan needs to be read by every aspiring firefighter and rookie firefighter. 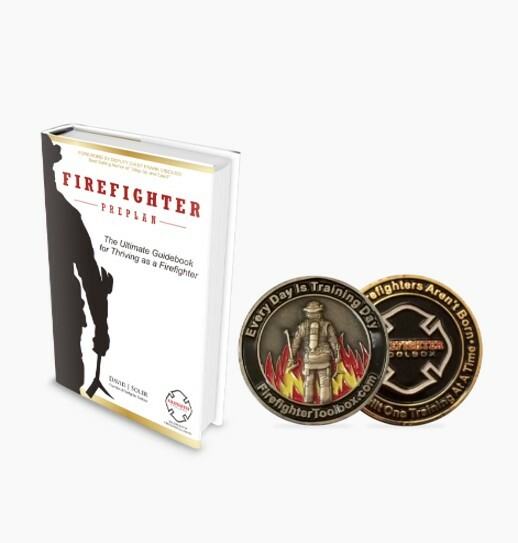 …It presents priceless information that every firefighter needs to know to help them achieve greatness. It is the embodiment of paying it forward. …It contains critical information that everyone needs to pass on to the next generation to properly shape the future of the fire service. Whether you are paid or volunteer, whether you’ve been in the fire service 5 years, 15 years, or just 5 minutes, you will get something out of Firefighter Preplan. This book/program contains many years of experience and firefighting wisdom, relating to and affecting all aspects and ranks within a department. Required reading for anyone looking to have impact and influence throughout their fire service career. Fresno Fire Dept. (CA) / Publisher - "Brotherhood of Fire"
Firefighter Preplan makes an aggressive interior attack on mediocrity in the fire service. 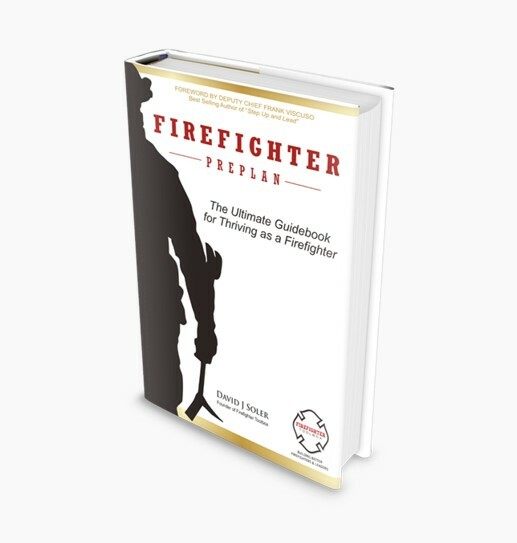 There’s something in this book for every firefighter, from the rookie to the senior firefighter. Great firefighters and leaders have invested in themselves and others. Here is the opportunity for you to take the next step toward a more rewarding fire service career. Now Is The Time. No More Excuses. Failure Is Not an Option. Lives depend on us being ready when the moment comes and it's coming. So get ready now. 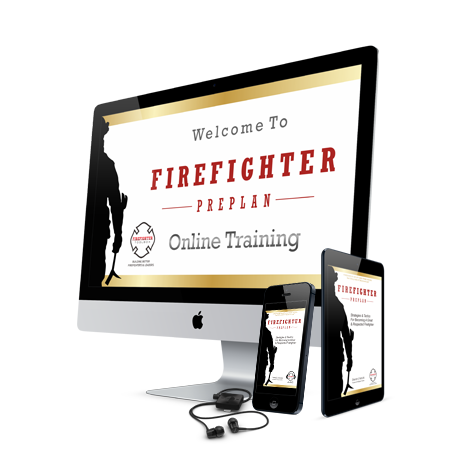 Get Firefighter Preplan for your department or organization. Q & A to assist you more. Have a question regarding this Book/Program?